Tuna wrapped up with white beans and balsamic mayo. Combine lemon juice, olive oil and mint. Whisk well to combine. Drizzle over tuna mixture and toss to coat. 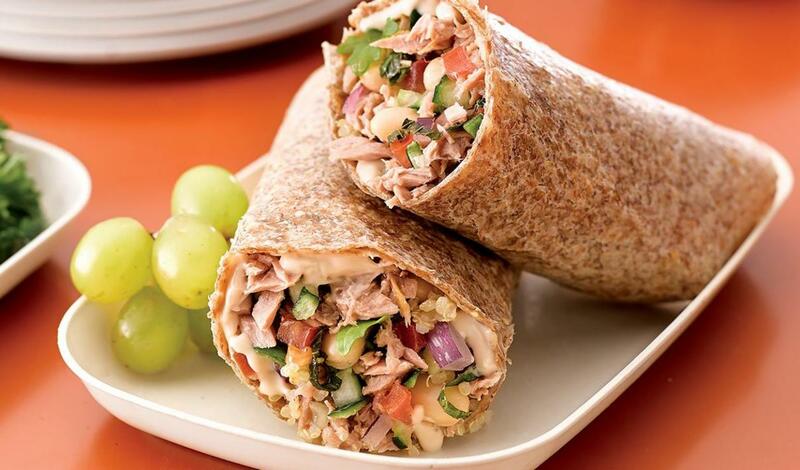 Build wraps with Balsamic Mayonnaise (sub recipe below), tuna salad and arugula. Serve immediately. Combine Hellmann's® Half the Fat Mayonnaise and balsamic vinegar and reserve.